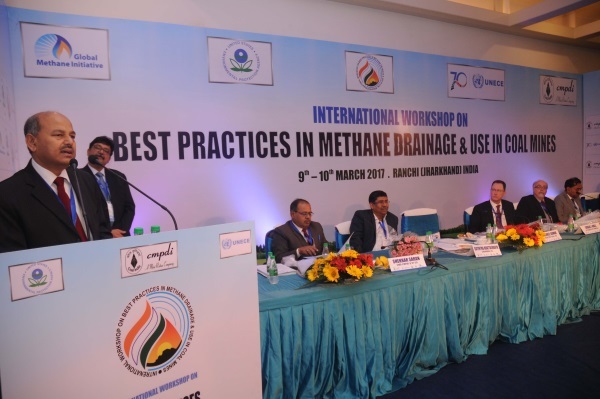 Secratary (Coal), Government of India Susheel Kumar addresses at a International Workshop on Best Practices in Methane Drainage and Use in Coal Mines in Ranchi on Thursday. US Consulate eneral Craig L Hall, IAS Chairman CIL GoI (MoC, MoPN&CC) Sutirtha Bhattacharya, CMPDI, CIL Shekhar Sharan, GMI-USEPA Monica Shimamura and othr officials are also seen in the picture. Page rendered in 0.1954 seconds.